The Bill, which was passed by the Lok Sabha on April 10, 2017, was on Monday re-introduced in Rajya Sabha by Minister of State for Transport Mansukhlal Mandaviya for debate. 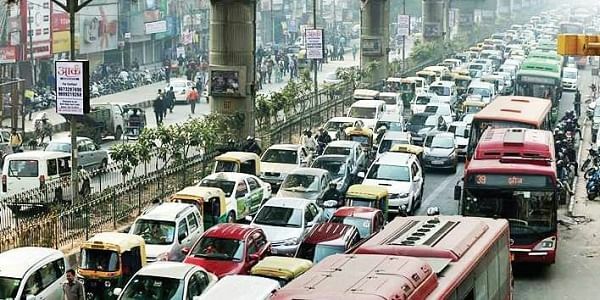 NEW DELHI: Many opposition parties on Monday opposed the Motor Vehicles (Amendment) Bill dubbing it as dilution of the state's powers and aimed at helping corporates. The Bill, which was passed by the Lok Sabha on April 10, 2017, was on Monday re-introduced in Rajya Sabha by Minister of State for Transport Mansukhlal Mandaviya for debate and passing in the ongoing Monsoon Session. Taking part in the debate, Congress's B.K. Hari Prasad said that there was no dispute behind the idea of the Bill but unfortunately there was no mention of the road safety it. "There are lacunae in the Bill. They have hardly taken any recommendations in the Bill as suggested by the Standing Committee. I still feel that the minister should make amendments which makes the road safety priority and not the corporate sector," he said, adding that the power of registration has been given to private dealers and the registration charges to be paid to the dealers would be higher than the RTO charges. "The bill does not create a sense of road safety. Some clauses have been amended to help the corporates and dilute the powers of state government," he said. Besides Congress the Trinamool Congress, DMK, the Left parties and the Aam Aadmi Party opposed the Bill saying the sole aim to bring the Bill was to dilute powers of the states. Trinamool's Manish Gupta said that the Bill subverts the principle of federalism as it gives the control of the transport sector to the central government, and appealed all the states to oppose the Bill. "Those, who believe in federalism should oppose this bill," he said. Biju Janata Dal's Pratap Keshari Deb said his party would support the bill if the government makes changes on various issues pointed out by them. CPI-M member T.K. Rangarajan also opposed the Bill and urged all the political parties to protest against it. "The powers of the state government will be reduced. It will be like the power enjoyed by a gram panchayat. This government is creating new destitutes making state governments panchayats," he said. Strongly opposing the Bill, DMK member T. K. S. Elangovan said: "Power is taken away from states and is given to private authorities. This is the biggest accident that has happened in the House and the states are still limping." He said the only agenda of the BJP government is to take away the powers of the state government one by one. Aam Aadmi Party's Sanjay Singh dubbed the proposed Bill as against the basic idea of Constitution. He said if the government did not change the provisions of learners licence, people will make licences in names of their dogs and cats. "We oppose this Bill as there is no provision to stop accidents," he said. BJP's Vinay Saharabuddhe and Janata Dal-United's Harivansh supported the bill. The debate will resme on Tuesday. The bill amends the Motor Vehicles Act to impose stiffer penalties for traffic rules violations, to protect the good Samaritans from legal harassment, a three-year jail term for parents of minors caught driving and causing fatal accidents, and a ten-fold increase in compensation for the families of accident victims, among other things. The bill also provides for facilitating delivery of services to the citizens and transporters, and proposes Aadhaar-based verification for grant of online services, including learner's licence. Power should be completely taken away from Transport departments of all States. They are dens of corruption. If we want one country, we should have one set of rules governing the vehicles. What racket the RTOs make! Check posts have gone with GST and next should be the State issued vehicle registration and driving licence....Annual and 5 year fleecing exercise by the transport departments in every State.